1. Definitions & Related Terms. 1.1. "Auctioneer" shall mean ACN059144286 Pty. Ltd. trading as Evans Clarke National or Nominee. 1.2. "Bidder" shall mean the person or Company with confirmed registration in accordance with the registration requirements described herein, and by submitting offers for any Lots during any sale presented by the Auctioneer. 1.3. "Purchaser" or "Buyer" shall mean a person or Company registered as a Bidder and who has made the highest offer, and that offer has subsequently been accepted by the Auctioneer as evidenced by a written sales invoice in the name of the registered bidder, in accordance with the Terms contained herein. 1.4. The Auctioneer may present different sale types to which registered bidders may respond. 1.5. "Traditional Auction" means a "live" auction sale conducted in a nominated sale location and attended by registered bidders. The auction is, in accordance with the Terms contained herein, conducted as an ascending bid auction with bids being called and offered bids, at the sole control and discretion of the auctioneer. 1.6. A "Webcast" auction sale" is a Traditional Auction at which the auctioneer additionally enables registered bidders to concurrently participate in that sale by using internet based bidding through a facility on the Auctioneer's website. 1.7. An "Online" sale is a sale presented by the Auctioneer which enables registered bidders to participate in that sale by using internet based bidding through a facility on the Auctioneer's website. 1.8. Online sales may not have a fixed physical location and bidders may bid on any item in the sale over a defined period up to a specified closing time, or at a later time in accordance with the closing time auto-extension process described herein. 1.9. Online sales may provide the option for the registered bidder to be invited to offer a bid at a fixed price nominated in the item description. The auctioneer may accept that offer and close the sale and proceed to invoice the bidder for that item, in a process described on the Auctioneer's web site sale listing as "Buy it now". 1.9.1. "Absentee Bidder", is a registered bidder who does not attend a Traditional auction and requests the Auctioneer to bid on their behalf. 1.9.2. "Terms", "Conditions of Sale" and the use of the word "herein" represent the contents of this document as of the date on published the web page. 1.9.3. This includes any special conditions or amendments to these Terms that may be incorporated or required for a specific sale. Bidders are advised to peruse these conditions from time to time to check for any updates, and carefully check each sale description for any special conditions that may be applicable to that sale. 2.1.1. Bids will be received only from bidders who have completed the online Bidders Registration, then subsequently received and acknowledged an emailed confirmation of their registration from the auctioneer's administration. The bidder registration may be suspended or cancelled at the sole discretion of the Auctioneer. 2.2.1. Bids will be received only from bidders who have fully, correctly and legibly completed the Bidders' Registration form provided at the sale location by the Auctioneer. Bids accepted from bidders who have not properly completed the bidders registration form or have entered false or misleading information may have their offer for any Lot rejected (including at any time after the sale) and the Lot put up again or resold to others in accordance with the Terms and Conditions of Sale contained herein. 2.3.1. Bids will be received only from bidders who have completed the online Bidders Registration, then subsequently received and acknowledged an emailed confirmation of their registration from the auctioneer's administration. The bidder registration may be suspended or cancelled at the sole discretion of the Auctioneer. 2.4.1. The person or company so registered shall be the only bidder permitted to use that registration identity. If a person, that person must be over 18 years of age. 2.4.2. The registration is granted to the registrant solely for their own use in the process of legitimate bidding and the registration shall not be applied or used in any other manner whatsoever. 2.4.3. The auctioneer reserves the right to terminate the registration and/or take whatever action they otherwise consider appropriate including legal action if the auctioneer reasonably suspects that the registered bidder is engaging or has engaged in fraudulent or any other inappropriate manner relating to the use of the web site or in relation to other facilities and resources made available by the auctioneer. 2.4.4. The process of submission of registration represents an acknowledgement by the bidder that they have read, understood, and fully accept without reservation these Terms and Conditions of Sale. It also represents an acknowledgement that the information provided by the applicant is true and correct in all detail. 2.4.5. The liability of the bidder to complete any sale process arising from bidding under their bidder registration shall continue to apply in the event that the information provided in registration is incorrect or false, or if the bidder has contrary to the requirements herein, permitted, or by neglect enabled, a third party to use or misuse the bidder's registration identity. 2.4.6. It is the responsibility of the registered bidder to inform the auctioneer of any change to the bidder's details that were recorded in the registration process. 2.4.7. The highest bidder shall be the purchaser except where there is a reserve price subject to the bidder offer and offer acceptance process described herein. 2.5.1. Bidders are advised that most lots presented by the Auctioneer are totally unreserved. 2.5.2. The Auctioneer generally discourages vendor-applied reserve prices, particularly on used items. 2.5.3. Vendors who submit goods for auction with reserve prices that are, in the opinion of the Auctioneer unnecessary or not priced to be reasonably lower than generally available for similar goods in the open marketplace may be rejected from current and future sales. 2.5.4. The Vendor shall have the right to bid through the Auctioneer for any lot or lots offered up to but not exceeding a reserve price. Notwithstanding the auctioneer holding this right, direct Vendor bidding is strictly prohibited. 2.5.5. Any bidder aware of a vendor bidding directly or through other persons should provide information to the attention of the Auctioneer immediately. 2.5.6. Vendors who are found to engage in such collusive practices may have their items withdrawn from sale and may be subject to further action without limitation by the Auctioneer. 2.6.1. Inappropriate and/or fraudulent bidding is strictly prohibited. 2.6.2. Any bidder aware of another bidding directly or through other persons in such a manner as to compromise the interests of other bidders, the vendor, or the auctioneer should provide information to the attention of the auctioneer immediately. 2.6.3. Bidders who are found to engage in such collusive or fraudulent practices may have their items withdrawn from sale and may be subject to further action without limitation by the Auctioneer. 2.7.1. The Auctioneer may without giving any reason therefore, refuse to accept the bid of any person or persons and may decline the offer for any lot or withdraw any lots from the sale. 2.7.2. Bids cannot be withdrawn once made, so bidders are advised to carefully consider their decision before placing a bid. 2.8.1. The bidder shall bid at or any amount greater than the minimum bid increment nominated on the respective Lot selected. Bids greater than the minimum bid increment will be Autobid on behalf of the bidder up to but not exceeding the maximum bid given. 2.9.1. Should any dispute arise as to any bid, the relevant lots or lots may, at the option of the Auctioneer, be put up again and re-sold. 2.10.1. At the discretion of the Auctioneer every bid shall be at least 5% in advance of the previous one, and no person may retract his or her bid once made. 2.11.1. Defines at what point of the auction process the sale occurs. 2.11.2. The bidder's contracted obligation to the auctioneer occurs as their offer at the time of the auctioneer's closure of the bidding for a Lot, be it traditional, webcast or online sale. 2.11.3. Closure in a traditional and webcast sale occurs at the fall of the hammer, and closure at an online sale occurs when the exact time nominated on the site expires, including any extended time. 2.11.4. The bidder's contract of offer, which cannot be withdrawn, becomes a contract of sale when the auctioneer issues an invoice to the bidder for the Lot(s). 3.1.1. The provision of an invoice or other written advice from the Auctioneer to the Buyer confirming without reservation that the bidders offer has been accepted, shall be the only method of confirmation of acceptance of the bidder's offer. 3.1.2. The bidder shall make payment of the invoiced amount immediately in accordance with these Terms or as otherwise instructed on the invoice. 3.1.3. Payment can be made by BPay, MasterCard, Bankcard or Visa Card (surcharge applies to credit card transactions). 3.1.4. Inspection of webcast and online sales may be available if indicated and in accordance with information provided on the respective sale description. 3.1.5. Photographs and descriptions may be provided by the auctioneer however bidders should not rely solely upon this and must make their own enquiries regarding the item and undertake inspection if possible for the respective sales. 3.1.6. Goods are sold strictly "as-is-where-is". No allowances or refunds will be made, nor will any buyer be permitted to reject any lot on the grounds that it is not correctly described, including any misdescription of quantity, either in the catalogue or in any publication either written or electronic, the said lots are to be taken with all faults (if any) and will be at the buyers risk from the time of collection and packing by the bidder or the bidder's agent. 3.1.7. Delivery will be given only on production of the Auctioneer's Invoice, either by the bidder, or the bidder's agent (e.g. courier). 3.1.8. Goods will not be released to the bidder, or the bidder's agent, until the items bid for are fully paid for in accordance with the invoice issued to the bidder by the Auctioneer. 3.1.9. In all instances, "payment" means the deposit of cleared funds into our bank account, or verified credit card transactions. 3.1.10. All goods shall be paid for within 2 days business days of the auction closing unless otherwise stated in the auction catalogue or on the auction website. 3.1.12. Any good(s) paid for and not collected within the allocated collection period will be deemed abandoned by the bidder. 3.1.13. Abandoned goods will be resold via auction to recoup all and any outstanding admin and storage fees. 3.1.14. Buyers who are experiencing difficulties in removing purchased items within these time frames must advise the auctioneer as soon as possible, preferably by email to admin@evansclarke.com.au . The Auctioneer will consider further assistance and temporary storage, at its discretion. 3.1.15. Where item(s) have been paid for and not collected within the standard terms and conditions of sale as stated in point ------ and/or where arrangements have not been made to collect the goods outside of the standard terms and conditions the items will be sold via auction to recoup any and all associated fees and charges owed to the Auctioneer. If the sold item(s) value is less than the associated fees and charges an invoice for the balance owing to the Auctioneer from the Bidder may be raised for the outstanding amount. This invoice is subject to strict 7 day terms. 3.1.16. Storage charges will be levied at $5.00 per day per lot or part thereof or other amount as advised to the buyers on a sale by sale basis, for every day after the above specified delivery period until such goods are removed or sold. 3.2.1. The provision of an invoice or other written advice from the Auctioneer to the Buyer confirming without reservation that the bidders offer has been accepted, shall be the only method of confirmation of acceptance of the bidder's offer. 3.2.2. The bidder shall make payment of the invoiced amount immediately in accordance with these Terms or as otherwise instructed on the invoice. 3.2.3. Payment can be made by BPay, MasterCard, Bankcard or Visa Card. 3.2.4. Inspection of webcast and online sales may be available if indicated and in accordance with information provided on the respective sale description. 3.2.5. Photographs and descriptions may be provided by the auctioneer however bidders should not rely solely upon this and must make their own enquiries regarding the item and undertake inspection if possible for the respective sales. 3.2.6. Goods are sold strictly "as-is-where-is". No allowances or refunds will be made, nor will any buyer be permitted to reject any lot on the grounds that it is not correctly described, including any misdescription of quantity, either in the catalogue or in any publication either written or electronic, the said lots are to be taken with all faults (if any) and will be at the buyers risk from the time of collection and packing by the bidder or the bidder's agent. 3.2.7. Delivery will be given only on production of the Auctioneer's Invoice, either by the bidder, or the bidder's agent (e.g. courier). 3.2.8. Goods will not be released to the bidder, or the bidder's agent, until the items bid for are fully paid for in accordance with the invoice issued to the bidder by the Auctioneer. 3.2.9. In all instances, "payment" means the deposit of cleared funds into our bank account, or verified credit card transactions. 3.2.10. All goods shall be paid for within 2 days business days of the auction closing unless otherwise stated in the auction catalogue or on the auction website. 3.2.12. Any good(s) paid for and not collected within the allocated collection period will be deemed abandoned by the bidder. 3.2.13. Abandoned goods will be resold via auction to recoup all and any outstanding admin and storage fees. 3.2.14. Buyers who are experiencing difficulties in removing purchased items within these time frames must advise the auctioneer as soon as possible, preferably by email to admin@evansclarke.com.au . The Auctioneer will consider further assistance and temporary storage, at its discretion. 3.2.15. At the auctioneers discretion each buyer shall immediately after any lot is knocked down pay a deposit nominated by the auctioneer. 3.2.16. Upon any purchaser failing to comply with any of the above conditions, all monies received in part payment, including the Bidder's Registration Deposit, shall be absolutely forfeited to the vendor, and all lots uncleared may be re-sold by Public Auction or Private Contract, and the deficiency (if any) on such re-sale, together with all costs and charges attending, shall be made good by the defaulter at the sale. 3.2.17. Upon any purchaser failing to comply with any of the above conditions, all monies received in part payment, including the Bidder's Registration Deposit, shall be absolutely forfeited to the vendor, and all lots uncleared may be re-sold by Public Auction or Private Contract, and the deficiency (if any) on such re-sale, together with all costs and charges attending, shall be made good by the defaulter at the sale. 3.2.18. All goods which have been paid for in full must be removed by the purchaser at the purchasers expense on or before the time stated by the Auctioneer, and unless stated otherwise by the auctioneer or nominated in the sale catalogue, all goods shall be paid for and removed by 12noon the next business day following the sale (Traditional) or paid for within 2 days (Webcast, Online). 3.2.19. In the event of the purchaser failing to remove any such goods within that time, such person shall be liable to pay to the Vendor on demand such storage charges as shall be specified by the vendor for every day or period of days thereafter until such goods have been either removed by the purchaser or re-sold as hereinafter provided in this condition. 3.2.20. All goods which are not removed at the stated time, without prejudice to any other rights of the Vendor, may be re-sold by the Vendor by Public Auction or Private Contract and the costs and charges of and incidental to such re-sale together with storage charges payable by the purchaser in respect of the goods may be deducted from the proceeds of the re-sale and retained. 3.2.21. Storage charges will be levied at $5.00 per day per lot or part thereof or other amount as advised to the buyers on a sale by sale basis, for every day after the above specified delivery period until such goods are removed or sold. 3.3.1. Buyers who are experiencing difficulties in removing purchased items within these time frames must advise the auctioneer as soon as possible, preferably by email to admin@evansclarke.com.au - we will consider further assistance and temporary storage, at our discretion. 3.3.2. Any monies outstanding at the termination of the sale or payable as a result of any re-sale under condition 12 hereof, shall be payable to the auctioneer. 3.3.4. Time shall be in accordance with the nominated sale closure times, or auto-extended times. 3.3.5. Traditional: Terms strictly cash before delivery unless stated otherwise in writing by the auctioneer in the catalogue or statement affixed to the auction counter or rostrum. 3.3.6. In all cases the Auctioneers and its servants act as agents for the vendor. 3.3.7. Where item(s) have been paid for and not collected within the standard terms and conditions of sale as stated in point - and/or where arrangements have not been made to collect the goods outside of the standard terms and conditions the items will be sold via auction to recoup any and all associated fees and charges owed to the Auctioneer. If the sold item(s) value is less than the associated fees and charges an invoice for the balance owing to the Auctioneer from the Bidder may be raised for the outstanding amount. This invoice is subject to strict 7 day terms. 4.1. Buyers' attention is drawn to the fact that all lots are sold "as is" and at the buyers' risk. 4.2. To assist buyers where major defects are not apparent from a visual inspection but are known to the Vendor they will either be announced when the vehicle concerned is offered for sale or at the discretion of the Auctioneer, a report attached to the lot description. 4.3. In furnishing this advice regarding any vehicle offered at the sale a warranty of guarantee is not thereby expressly given or implied that such vehicle or vehicles offered for sale do not have other defects whether known or unknown to the Vendor, and no warranty or guarantee whatsoever is given regarding these vehicles. 5.1. At the discretion of Auctioneer, a buyer's premium will apply to each lot sold either Inclusive of or exclusive of GST. 5.2. The buyer's premium shall be expressed as a percentage and shall be applied to the sale price either at the fall of the hammer or at the time of sale closure of bidding on the item(s). 6.1. At the sole discretion of the Auctioneer, the auctioneer may require a registration deposit from any buyer for any sale. 6.2. If a registration deposit has not been paid by a bidder, the auctioneer may choose not to accept a bid from the bidder until the bidder has paid the registration deposit. 6.3. The Registration deposit shall be refunded to the bidder after the sale has been completed, and only if the bidder has fully paid for all Lots successfully bid for by them and accepted by the Auctioneer in accordance with the Terms and Conditions of Sale as contained herein. 6.4. The bidder shall forfeit the registration deposit to the Auctioneer if the bidder has had their bid accepted by the auctioneer for any Lot and if the bidder subsequently either fails to pay for the Lot within the time allotted herein or if the bidder pays for the Lot but fails to collect the goods in accordance with the terms and Conditions of Sale as recited herein. 6.5. Refunds during the sale will not be available. Refunds may be given by way of a credit against purchases or by cash or cheque and at a time after the sale at the sole discretion of the auctioneer. 7.1.1. Electronically derived absentee bids shall include bids placed through the internet, email, or other form of electronic transmission, particularly where the bids are conducted live during a sale. 7.1.2. This service will be provided to the buyer on the basis that the auctioneer will attempt to place bids on behalf of the absentee but shall not be obliged to do so and the absentee bidder shall indemnify the auctioneer from any action directly or indirectly arising from the failure of an absentee bid to be placed. 7.1.3. However the placement of a bid by an absentee bidder shall place upon them a liability to purchase a Lot that is the subject of their absentee bid, if the bid is successful at auction. 7.1.4. The requirements of absentee bids as recited herein shall generally apply. However the access allowed for such bidding shall be made at the sole discretion of the Auctioneer. In the case of telephone bidding, the Auctioneer shall not be responsible for initiating any call or maintaining continuity of any call, nor shall be liable in any manner for the failure or disconnection of any service. 7.1.5. The Auctioneer shall not be liable for any errors or omissions in bids placed through telephone or other electronically derived methods. 7.1.6. In the event that a Lot is sold to an absentee bidder that bidder shall become fully liable for the purchase and removal of the Lot(s) so purchased in accordance with the Terms and Conditions of Sale as recited herein, however the Auctioneer will only acknowledge the sale of any lot to the absentee bidder in writing by furnishing the absentee bidder with an invoice at a time at the sole discretion of the Auctioneer after the sale upon which the bidder shall remit payment immediately. 7.1.7. Any errors or omissions claimed by the purchaser to exist in the issued invoice prior to the collection of goods shall be advised to the Auctioneer immediately in writing, in which case the Auctioneer shall at its sole discretion amend or cancel the invoice. In doing so, the purchaser shall waive any claim against the Auctioneer for any matter relating to the sale of the Lot, and shall indemnify the Auctioneer from any legal or other action by the bidder, the bidder's agent or any third party of the bidder, and at all times any adjustments or cancellations shall effect credits that relate only to the actual Lot sale price at the form of the hammer or sale closure and shall under no circumstances account for or otherwise reflect commercial resale value to the bidder potential or actual, arising from the cancellation or amendment of a sale invoice. 7.1.8. Attention is drawn to the Terms and Conditions of Sale concerning the safety, status, and general condition of the Lots, in particular, the responsibilities of the purchaser in regard to Occupational Health and Safety regulations with Second hand Goods. 7.1.9. Attention is also particularly drawn to the Terms and Conditions of Sale in regard to inspection of goods, descriptions, fitness, and errors and omissions in Lots or catalogues. The absentee bidder shall make their own arrangements as to inspection and their placement of an absentee bid shall be deemed to be their acknowledgement of the terms and Conditions of Sale. 7.1.10. The placement of an absentee bid shall be deemed to represent acknowledgement by the bidder of their full acceptance and compliance with the Terms and Conditions of Sale. 7.2.1. The Auctioneer may, at its sole discretion, accept offers from bidders and submit offers on behalf of bidders ("absentee bidder") for any Lot. This service will be provided to the buyer on the basis that the auctioneer will attempt to place the bid on behalf of the absentee bidder, but shall not be obliged to do so, and the absentee bidder shall indemnify the auctioneer from any action directly or indirectly arising from the failure of an absentee bid to be placed. 7.2.2. Placement of a bid by an absentee bidder shall place upon them a liability to purchase a Lot that is the subject of their absentee bid, if the bid is successful at auction. 7.2.3. The bidder shall register their bid in writing no less than one hour prior to the advertised time of commencement of the sale. 7.2.4. The bidder shall indicate the maximum amount offered for the lot. 7.2.5. Any offer placed may be subject to GST and a Buyer's Premium as indicated in the Catalogue for the respective Sales, and the absentee bidder shall fully inform themselves in regard to such additional costs prior to placing their bid. 7.2.6. If the lot is put to sale, the Auctioneer may bid on behalf of the absentee bidder up to but not exceeding the maximum offer advised by the absentee bidder. 7.2.7. In the event that an offer is received from the floor of the sale equal to the maximum bid advised by the absentee bidder, the bid from the floor will be accepted. 7.2.9. The absentee bidder shall be liable for their bid at the fall of the hammer in accordance with the terms and Conditions of sale as recited herein, and may only cancel their absentee bid by written instruction no less than one hour prior to the commencement of the sale. 7.2.10. Any request for cancellation after the commencement of the sale will not necessarily be accepted by the Auctioneer and in that event the bidder shall remain liable for any lot subject to their offer knocked down to them. 7.2.11. In the event that the absentee bidder attends the sale in person or has a proxy bid by others as their agent their absentee offer registered with the Auctioneer shall remain valid unless cancelled in writing no less than one hour prior to the advertised commencement time of the sale. 7.2.12. In the event that a Lot is sold to an absentee bidder that bidder shall become fully liable for the purchase and removal of the Lot(s) so purchased in accordance with the Terms and Conditions of Sale as recited herein, however the Auctioneer will only acknowledge the sale of any lot to the absentee bidder in writing by furnishing the absentee bidder with a preliminary invoice at a time at the sole discretion of the Auctioneer after the sale upon which the bidder shall remit payment immediately in response to which a Tax Invoice will be delivered to the buyer. 7.2.13. Any errors or omissions claimed by the purchaser to exist in the issued preliminary invoice prior to the collection of goods shall be advised to the Auctioneer immediately in writing, in which case the Auctioneer shall at its sole discretion amend or cancel the preliminary invoice. In doing so, the purchaser shall waive any claim against the Auctioneer for any matter relating to the sale of the Lot, and shall indemnify the Auctioneer from any action by the bidder, the bidder's agent or any third party of the bidder, and at all times any adjustments or cancellations shall effect credits that relate only to the Lot sale price and shall under no circumstances account for or otherwise reflect commercial resale value to the bidder potential or actual, arising from the cancellation or amendment of a preliminary invoice. 7.2.14. Attention is drawn to the Terms and Conditions of Sale concerning the safety, status, and general condition of the Lots, in particular, the responsibilities of the purchaser in regard to Occupational Health and Safety regulations with Second hand Goods. 7.2.15. Attention is also particularly drawn to the Terms and Conditions of Sale in regard to inspection of goods, descriptions, fitness, and errors and omissions in Lots or catalogues. The absentee bidder shall make their own arrangements as to inspection and their placement of an absentee bid shall be deemed to be their acknowledgement of the terms and Conditions of Sale. 7.2.16. The placement of an absentee bid shall be deemed to represent acknowledgement by the bidder of their full acceptance and compliance with the Terms and Conditions of Sale. 8.3.1. In the instance, including telephone bids, where an under bidder claims a miscarriage of the sale process of a Lot the auctioneer may, if they consider the claim has merit and at their sole discretion, cancel the sale and resubmit the Lot for offers, or alternatively the Auctioneer may cancel the sale and withdraw the Lot for presentation at a duly advertised future sale. 8.3.2. Where either during or subsequent to any sale the Auctioneer deems that there may have been a miscarriage of the sale process for a particular Lot sold to the absentee bidder, the Auctioneer may withdraw that Lot and resubmit the Lot at a future auction sale. 8.4.1. The Auctioneer may offer any unsold Lot presented at any auction type, at any time subsequent to the closure of the sale. In doing so the Auctioneer shall not necessarily offer the Lot to any particular buyer, including any under-bidders. A sale conducted in this manner shall in all respects to be deemed a sale strictly and exclusively as a sale by Public Auction under the Terms and Conditions of Sale as recited herein. 8.5.1. Sales may be conducted either GST inclusive or GST exclusive. 8.5.2. In the case of GST inclusive sales, the amount of GST shall apply to the sale price at the fall of the hammer or sale closure. 8.5.3. GST is included in any buyer's premium applied to a sale. 8.5.4. Purchasers with a Tax Invoice total exceeding $1,000 will be required to provide their ABN number and Name, or their Name and Address, in accordance with the requirements of the Australian Tax Office. 8.5.5. The Auctioneer shall have the right to cancel the sale in accordance with the Terms and Conditions of Sale as recited herein if the buyer fails to provide the required information. 8.5.6. International or other Buyers not subject to the Australian Tax Office jurisdiction may apply to the ATO for refund of the GST, or, subject to arrangements with the auctioneer, be supplied with a GST free invoice. 9.1. No lifting or handling is provided or offered by the auctioneer to any purchaser and it remains the sole responsibility of the purchaser to uplift and remove their purchase after the sale in accordance with the general Terms and Conditions of Sale. 9.2. Notwithstanding this any incidental assistance that may be requested of the Auctioneer may be provided, but strictly on the basis that there shall be no contract between the Auctioneer and the purchaser arising from such a request and that any assistance provided by the auctioneer shall be informal and it shall remain the sole responsibility of the purchaser for the safe handling of goods purchased. 9.3. The auctioneer will not be liable for any loss or damage to the purchaser's goods. 9.4. Any request for handling assistance by the purchaser shall only be on the basis of an informal arrangement and such request for assistance from the buyer to the auctioneer shall represent an acknowledgement by the purchaser that the conditions as recited herein are fully accepted by the buyer and that the buyer fully indemnifies the Auctioneer from any claims whatsoever brought by the purchaser, the purchaser's agent or other parties. 9.5. In any event where a claim with validity brought against the auctioneer in a Court of Law the purchaser hereby acknowledges that any liability that may be held against the auctioneer shall be limited to a maximum sum equal to the sale price at the fall of the hammer, and that under no circumstances shall any claim for loss or damage by any third party be accepted. 9.6. The responsibility for the goods passes to the buyer from the fall of the hammer or close of sale. 9.7. Collection of Goods, by others. 9.7.1. The party collecting the goods under instructions from a purchaser shall be deemed to be the purchaser by the Auctioneer and the Auctioneer will not enter into any subsequent matter between the purchaser and their collecting agent regarding the status, quantity, condition or description of goods collected from the Lot location. 9.7.2. The party collecting goods may be required to sign an Acknowledgement and Declaration Form before goods are released. 9.7.3. Evans Clarke National does not provide any facilities for packing or transport (unless detailed in the sale listing) nor moving or otherwise handling the Lot from the time of commencement of the sale inspection and will not be responsible in any manner whatsoever for any damage or loss of goods collected on behalf of the Buyer by a third party acting under instructions from the Buyer, nor will the Auctioneer consider any claim arising from a failure of the buyer to properly inform themselves as to the status or condition of any Lot prior to sale as required under the terms and Conditions of Sale contained herein. 9.7.4. Purchasers are advised to make their own appropriate arrangements for the checking, collection, safe packaging and transport of their goods. 9.7.5. In regard to items above the Auctioneer may refuse to release goods to the Buyer or an Agent of the Buyer unless adequate proof of purchase and/or written authority from the Buyer for the uplift and removal of any Lot is provided to the Auctioneer. 10.1. Goods are presented for sale on behalf of the Vendors based upon the Terms and Conditions of sale by ACN059144286 Pty. Ltd. Trading as Evans Clarke National attached to the catalogue and displayed in the sale rooms. 10.2. These Terms state specifically, that goods are offered "as-is, where-is" without warranty, nor are they fit for any particular purpose, nor is any indication expressed or implied by the Auctioneer as to the serviceability status of any item. 10.3. 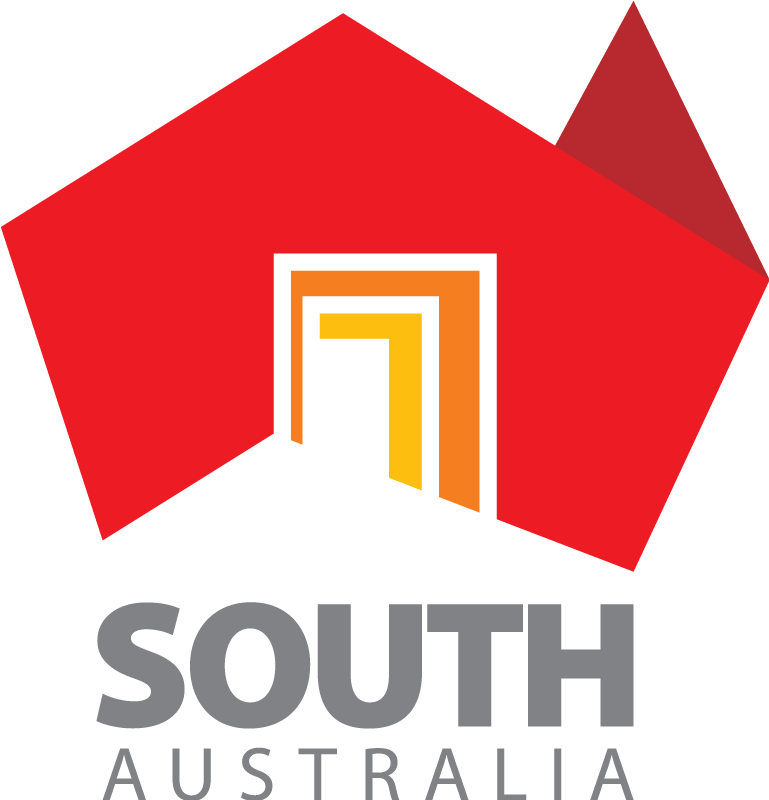 The (South Australian) Occupational Health and Safety, and Welfare Act 1986, and the subsequent Occupational Health and Safety, and Welfare Regulations 1995 impose obligations in the respect of safety for workers arising out of the DESIGN MANUFACTURE and SUPPLY of Plant and Machinery for use in the workplace. 10.4. BOTH EVANS CLARKE NATIONAL AND THE VENDORS WARN BUYERS THAT NO LOT OFFERED FOR SALE SHALL BE DEEMED TO BE FIT FOR USE IN ANY WORKPLACE AS A RESULT OF IT'S PRESENTATION AS A LOT IN THIS SALE AND IT IS THE BUYER'S RESPONSIBILITY TO ENSURE THAT THE PLANT AND MACHINERY PURCHASED AT THIS SALE IS BROUGHT TO A STANDARD NECESSARY TO COMPLY WITH THE OCCUPATIONAL HEALTH AND SAFETY WELFARE ACT 1995, AND TO CARRY OUT TESTING AND EXAMINATION TO ENSURE IT IS FIT FOR USE IN THE WORKPLACE. 10.5. In the interest of the health and safety for workers, safety inspections of all Plant and Equipment purchased at Auction must be performed by the purchaser or user. 10.6. Where the Plant or Machinery is to be used in areas not covered by the Occupational Health Safety and Welfare Act 1986, and the Occupational Health Safety and welfare Regulations Act of 1995, buyers should regard any Lot offered for sale as unfit for use, or otherwise use independent professional advice to establish for themselves the fitness or suitability for use. 10.7. Evans Clarke National and the Vendors also warn buyers that NO ITEM shall as a result of its presentation as a Lot in any sale be deemed to be either in compliance or otherwise necessarily capable of being placed in compliance with any regulation, code, certification, standard, calibration, licensing, operation, or any other process that may be a prerequisite for their legal or proper use. 10.8.1. As a condition of sale, the successful bidder at any auction, by the process of bidding, is deemed to have acknowledged the Conditions of Sale including this Safety Warning, and shall sign a statement of acknowledgement prior to the collection of goods, notwithstanding that it remains the responsibility of the purchaser to fully comply with the requirements of the Conditions of Sale from the fall of the hammer. 10.9.1. Equipment may be offered at an auction that uses electrical power. 10.9.2. It is the responsibility of the purchaser to ensure that the equipment is fit for connection to the local electrical supply. 10.9.3. No warranty is given that the equipment is safe or appropriate for use. 10.10.1. Used Goods are used; they may be unserviceable, faulty or incomplete. 10.10.2. That is, they are being disposed of because either they are no longer required OR they may be faulty. 10.10.3. NO WARRANTY IS EXPRESSED OR IMPLIED THAT THE GOODS ARE SERVICEABLE OR THAT THE GOODS ARE FIT FOR ANY PARTICULAR PURPOSE. 10.10.4. Information that has been provided by the Auctioneer or assisting staff during inspection concerning the status of any equipment or to the condition or nature of any goods has been given in good faith as a guide only and shall not be taken as a warranty as to the serviceability or suitability of the goods for the particular purpose. 11.1.1. No computer software, including operating system software, is offered with any Lot, unless specifically listed in the catalogue. 11.1.2. There is no warranty given that any software offered, or left on any of the computers, is suitable for any use or performance, nor can it necessarily be expected that software is Licensed or capable of being re-licensed. 11.1.3. Purchasers are reminded that any such software may be expected to be the subject to the normal conditions of use that are associated with copyright material, with associated obligations for the user. 11.2.1. Data files found or recovered from storage media contained in any equipment offered for sale, is not intended to be included with the goods and shall remain the property of the original owner through its agent Evans Clarke National. 11.2.2. Title to such data does not pass to the Buyer. 11.2.3. It is a CONDITION OF SALE that any such data information discovered shall be reported immediately to Evans Clarke National and the equipment made reasonably available to the Auctioneer or its Agent for the secure removal of such data, at no charge to either parties. 11.2.4. The information contained in data files may be of a Proprietary and Confidential nature and is not intended to be reviewed or used by the Buyer or divulged to any third parties. 11.2.5. The divulging of the existence of such data or the contents thereof to others shall constitute a breach of the Conditions of Sale, and consequential Legal action under Civil or Criminal Laws may be taken against the Buyers and/or others associated with the goods, including but not limited to legal action to recover direct or consequential damages. 11.2.6. Such action involving goods belonging to the Commonwealth of Australia or other Government Agencies, Statutory Authorities, Local Government, or related organisations, may include action under State or Federal Laws by the respective Government Agencies including Law Enforcement Agencies. The information contained on this website is subject to copyright and can only be re-produced for the purpose gathering sale information in relation to purchasing items, for example printing catalogues or photos. By viewing or downloading any information from the Evans Clarke National site or any sites you may be directed to from this site you accept that you do so at your own risk. Evans Clarke National takes no responsibility if any damage is caused to your hardware or software and you will not hold Evans Clarke National responsible for any damages. The Evans Clarke National website may contain errors, faults, incorrect information or be incomplete for whatever reason and the use of this site is done entirely at your own risk. By using this site, you, your company and employees agree that no claims will be made against Evans Clarke National nor its Directors, Staff or Contractors for any damages suffered, personal or financial, due to the content displayed on this website.